OMG I won!!!!! I never win anything >_<!!!!! 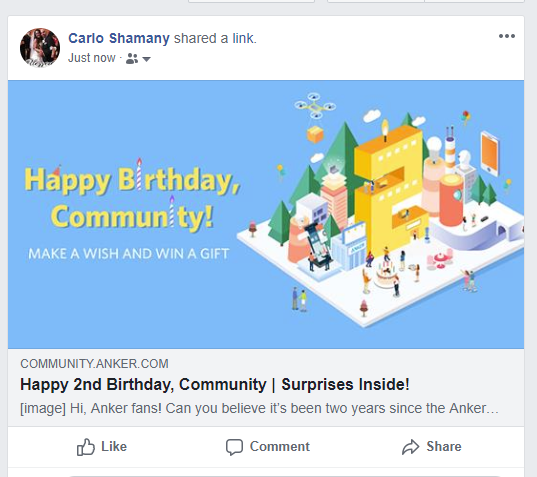 That's so lucky thank you @AnkerOfficial !!!! Oof I didn't know I would get this far, I need to make a list now. I had no expectations to win this one. There were a lot of vultures swarming which made it very difficult! Are we going to use the amazon price or list price or sale price? Hmm I see so I guess we wait for the google form to come out? Thank you @AnkerOfficial for running such as awesome community and giveaways! I love these kind of giveaways. It was interesting at the start of it prior to the rules being clarified and keeps everyone on their toes when the numbers get close. Lol, yeah it was kind of a free-for-all there at the beginning. I hope there are more events like this but with more thought out rules. Give people an inch and they will take a mile, I know I'm guilty. Sorry buddy the event is over. Yes, the Chinese New year lucky numbers.